As I started reading the second book, my only thoughts were that Deuce (with his Horsemen) and Horse (with his Reapers) would be able to take care of Tony no problem. Seriously, why hasn’t anyone called them? I’m sure if they would have teamed up for that venture because this pretty-boy REALLY needed to be taken care of, if you get what I mean. One of the first things that changed for me was that I almost instantly loved Claire. This ‘new’ version was (and I can only assume) what she was like BT (Before Tony). Though Tony tried his damnedest to extinguish that spark, it soon became evident that hell has no fury like Claire Nichols scorned. She had a good plan, had every intention to follow-through, and god knows she tried. Even though she came out fighting with everything she had, Tony was just that much better. The moment I realized I didn’t want Tony buried in a concrete foundation or ‘accidentally’ shot to death, I began to question my sanity. I was seriously considering voluntarily checking myself into a psyche-ward. How in the name of all that is holy did I go from despising Anthony Rawlings (and all the associated lunacy that was Consequences) to actually liking him? I hope I don’t get angry words sent my way, but I never saw Claire with Harry. In the beginning of their ‘relationship’, I had moments of “well, they would be nice together.” Those soon vanished and I realized that Claire only belonged with Tony – not to Tony, but with him; the 'new' Claire, who has the ability to bring the all-powerful Mr. Rawlings to his knees. Don’t get me wrong – I’d still like to put him in front of a firing squad for all the bull-s*** craziness he did, but the HEA-fiend in me would toss him a bullet-proof vest. If he survives, he’s managed to prove that he’s worthy of forgiveness. Claire is definitely the heroine that I always believed her to be capable of being. Because a certain narcissistic, control freak a**hole (though he’s now trying to reform his ways so let’s give him some credit) forced her hand, Claire has now become vengeful, manipulative, and deceitful. It would almost be tragic that it appears as though she has moved onto the dark side if it didn’t play out with such hilarity. Watching her try to take down Tony and navigate through his minions at the same time is immensely comical. Some readers might have seen what happened towards the end coming a mile away. I was blissfully unaware, and really enjoyed the build-up with the sneak peaks into the past. 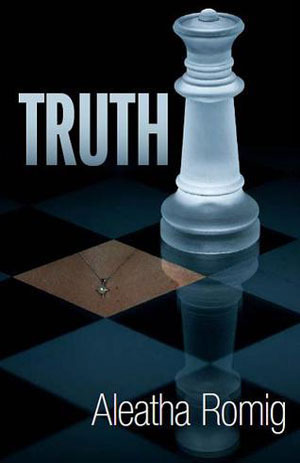 While I really like Consequences, I LOVED Truth. It had the perfect mix of suspense, romance, and debauchery, that when brought together, made for a fantastic extension of the first book.